Like a lot of bloggers, I headed over to World’s End Garden to farewell this beautiful place. Apparently, it is closing on the 18th of October, so I wanted to visit once more before it disappears from the grid. WEG has been around for years, and it’s simple beauty is so tranquil and relaxing. 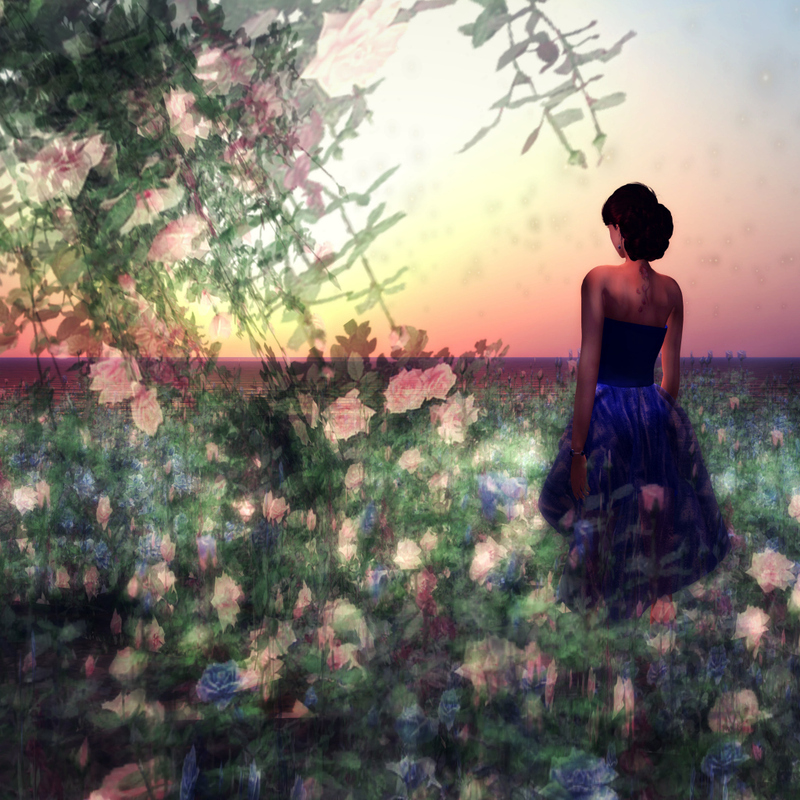 Often we forget about just stopping to appreciate the loveliness of our virtual world. This spot is the perfect reminder of just what beauty our residents create. The pretty, feminine dress I am wearing is a gift from Leri Miles Designs for the Cosmopolitan Sales Room 1st Anniversary hunt. You can pick up a notecard with slurls and hints at the landing point, which you can reach from this link. It is a sim-wide hunt running from the 13th through the 27th of October, and you are looking for a chocolate birthday cake – no licking the frosting! While you are gleefully saying hello to some cute hunt gifts, I am bidding a final adieu to World’s End Garden. This is sad news for landscaping enthusiasts. If only it were possible to own homestead or open sims without going through the more expensive full region first, beautiful places like these might last longer. I’m gonna try see the place one last time before it closest. I agree. It’s such a tranquil spot, and so simple. But I don’t think anyone else could replicate it. 4 days, I hope I can get there.. gorgeous pics, of course, like that needs to be said, and I LOOOOVVEEE the blue of the dress! Oh and YOU!!! I can see you in the colour! Pop over to the hunt – it’s the best price evah – FREEEEEEEEEE!!!!! I hope you aren’t running in high heels; that face is too purty to be planted in the pavement!